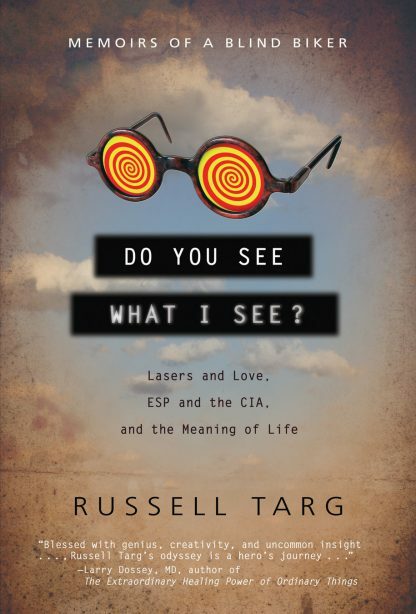 Now in paper, a droll memoir by a world-class physicist that includes recollections of his involvement with pioneering laser research, encounters with many of the most recognizable literary, cultural, and entertainment figures of the 20th century, and his role in teaching ESP techniques to the CIA. Russell Targ is a Zelig-like character. His story is an idiosyncratic journey through the highways and byways of American intellectual, scientific, and cultural life in the 20th century. Along the way he has rubbed elbows with Ayn Rand, Alan Greenspan, Alan and Arlene Alda, Bobby Fischer, and Sally Rand. He was a pioneer in laser research and spent many years developing airborne laser wind sensors for Lockheed and NASA. In addition, he co-founded the Stanford Research Institute remove viewing program�which was funded by the CIA�and was instrumental in tracking Soviet and Chinese weapon installations during the Cold War. And to round it out, he is a legally blind motorcyclist�who happens to be a Buddhist. This is a fascinating memoir by a first-class intellect; the story of a physicist who has pushed the boundaries of science to explore the realms of parapsychology, spirituality, and the unexplained.